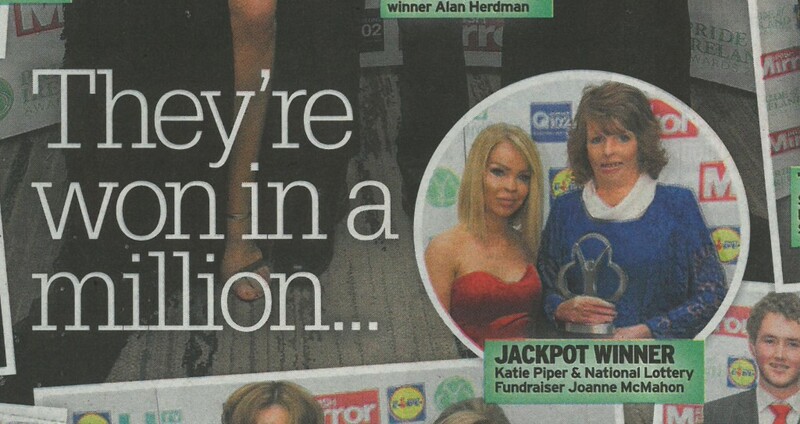 We are delighted to announce that Joanne McMahon, our amazing community fundraiser, has won the Fundraiser of the Year Award at this year’s Pride of Ireland Awards. 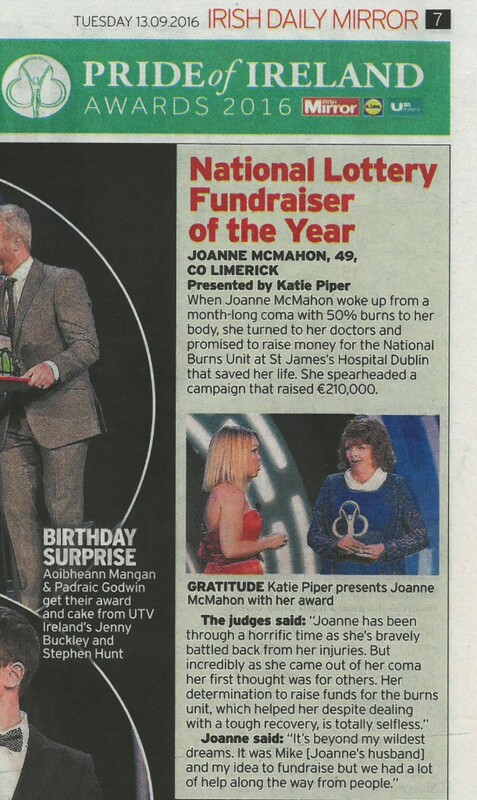 We were honoured to join Joanne and her family and friends at the glittering award ceremony on Monday 12th September 2016, to celebrate her incredible achievement of raising over €210,000 for the National Burns Unit at St James’s Hospital. Well done Joanne! You absolutely deserve this fantastic award. Read Joanne’s story in her own words. Read about the National Burns Unit at St James’s Hospital. 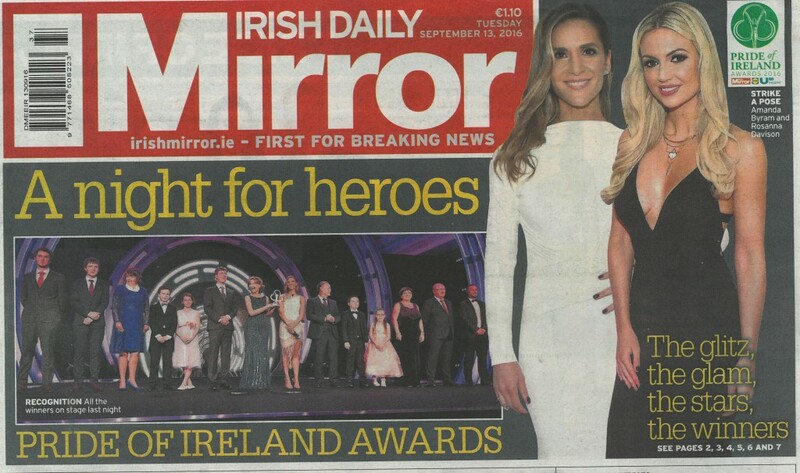 The award ceremony was televised on Sunday 18th September at 7:30pm on UTV Ireland. 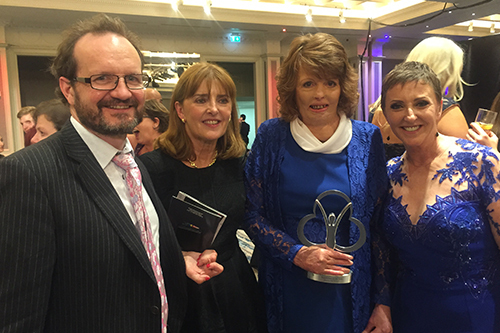 Joanne with Dr Odhran Shelley, Director of the National Burns Unit and Majella O’ Donnell.